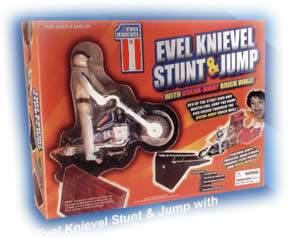 Evel Knievel Super Stunt Cycle does jumps, wheeles, and flips at incredibile speed. 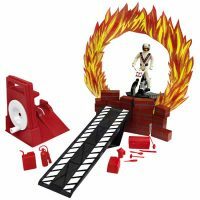 Blazing twin jet packs give super touch to the King of the Stuntmen. 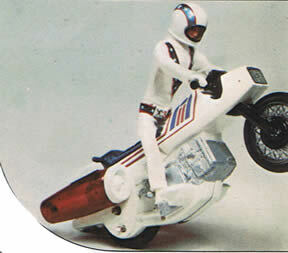 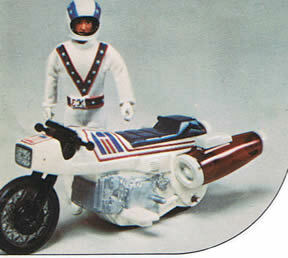 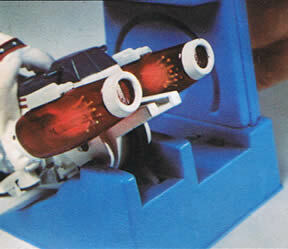 Includes super cycle with twin jet pack, Evel Knievel figure, and energizer. 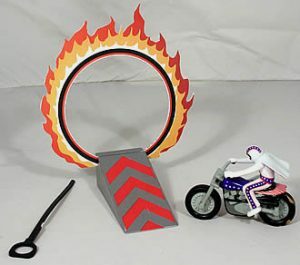 The gyro-powered motor needs no batteries or electricity.